Keratomalacia is a pathological condition of the eyes which is caused as a result of deficiency of vitamin A. 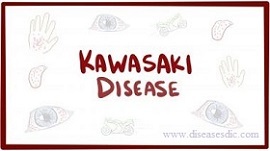 This disease causes scarring of the cornea and fibrotic deformity of the eyeballs. The role of vitamin A for the eyes is to maintain structures like cornea and conjunctiva. In Keratomalacia, there may be insufficient absorption or inadequate metabolism of vitamin A resulting in the defects. The cornea tends to become thin and soft so much so that it may get ulcerated. Keratomalacia, defined as collagenolysis, is the rapid breakdown or melting of the corneal stroma. Clinically, keratomalacia is characterized by a soft, gelatinous appearance of the cornea. This rapidly progressive condition occurs typically in response to corneal injury and involves infiltration of white blood cells. This disorder is bilateral and it affects both the eyes. It is a common cause of acquired pediatric blindness worldwide. In western societies, it can occur amongst those with a poor nutritional status. This deficiency disorder can also occur when the body is unable to absorb beta carotene and retinoids, or when the body is unable to convert beta carotene and retinoids to vitamin A. 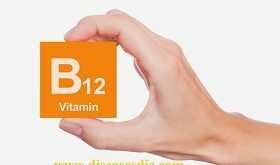 Sometime due to certain body disorder due to celic syndrome, ulcerative colitis, heavy worm loads and sprue, there is poor absorption of vitamin A into the body cells. In such conditions our body is unable to absorb retinoid or beta carotenes, or sometime fails to convert beta carotene into vitamin A, as a result of which the patient become highly deficit in vitamin A. What are the Signs and Symptoms of Keratomalacia? Cornea become highly perforated and soft, due to which the normal vision get disrupted. There is also wrinkling and cloudiness progression in the cornea during the initial stage of the disease. There might be the development of corneal ulcers surrounded by cornea which get dull and cloudy. Photophopic condition become highly intense. In certain condition corneal ulcer may get transformed into corneal scar due to infection. The formation of Bitot’s spot is a common phenomenon. Bitot’s spot is the proliferation of the cell. These are dry, foamy, silver grey substance found over the white membrane of the eye. In certain rare cases there might be the formation of white spot over retina. What are the possible3 Complications of Keratomalacia? Replenishing the amount of vitamin A into the body can be the best way to prevent it. Decreasing the metabolic demand may also be combined in order to achieve the best results. Children with appropriate absorption are required to administer high vitamin supplements precisely 200, 000 IU vitamin A in the form of capsule or injections. Children with a history of severe malnourishment should be given capsules contain high dosage of vitamin A. Food supplements such as cod liver oil, carrot, sweet potato, butter, liver, spinach, pumpkin, apricot, papaya, mango, pea, broccoli, milk and tomato are found to be highly rich in vitamin A. Among them cod liver oil contains the highest quantity of vitamin A.
Intake of appropriate drug may definitely provide you the best solution. 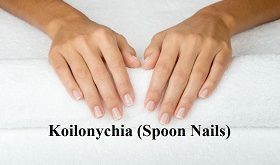 Administration of topical antibiotics may offer relieve in reducing the acuteness of keratomalacia. Antibiotics ointment can control the secondary infection stage of xerophtalmia from aggravating it more. Sometimes the ocular vision resulted from keratomalacia tend to get highly digressed. As a result of which the chances for any cure to be functional get minimized. In such cases the option of keratoplasty is considered as the final option. How can Keratomalacia be prevented? Children diagnosed with measles must have adequate vitamin A rich foods, since they are at an increased risk for Keratomalacia. Next Night blindness: Definition, Complications and Treatment. Klinefelter’s Syndrome – Facts, Causes, and Treatment. te queria corresponder el tiempo que dedicaste, con unas infinitas gracias, por enseñarle a personas como yo jojojo.